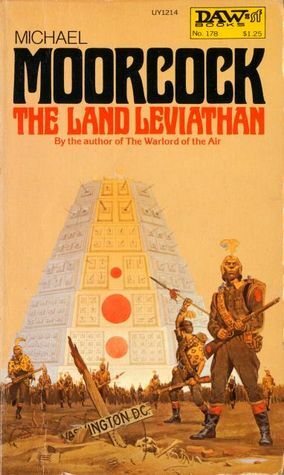 When I was thirteen I discovered The Warlord of the Air, the first of three novels in which Michael Moorcock recorded the adventures of Captain Oswald Bastable, an Edwardian Englishman who is blessed or cursed by the ability to move through alternative versions of the twentieth century. In the first Bastable novel, which reads like a half-affectionate, half-scornful pastiche of one of Rudyard Kipling or John Buchan's fin de siecle romances, the good captain is sent by his superiors to investigate Kumbalari, an ancient civilisation tucked away in a conveniently remote Himalayan valley. Bastable enters Teku Benga, the capital of Kumbalari, where 'crazy spires and domes' mock 'the very laws of gravity', becomes lost in a vast building called The Temple of the Future Buddha, whose dark walls are covered with ugly gargoyles, and is thrown into the future. Bastable ends up in 1973, but his version of the seventies is very different from the one we remember. European empires still cover much of the globe, airships rather than airplanes ply the skies, Winston Churchill is best-known as a former viceroy of India, and Mick Jagger is a well-groomed officer in the British colonial service. In the two sequels to The Warlord of the Air Bastable visits further alternate versions of the twentieth century. In one version of the future Bastable discovers that the Confederacy won the American Civil War; horrified to see slavery thriving in the 1970s, he joins an invasion of America by a technologically superior African Empire. In an another version of the seventies Bastable encounters Stalin, who has become Tsar of Russia and is about to launch a nuclear war against the rest of the world. Oswald Bastable helped create a fashion for alternate histories amongst novelists. Over the past decade or so the interest in alternative history has spread to academia and to the mass media. It is tempting to see a correlation between the popularity of alternate histories and the near-absence of utopian literature in the twenty-first century. A century or so ago the utopian tract was a thriving part of Western literature. Socialists, atheists, religious zealots, suffragettes, prohibitionists, anti-imperialists, and ultra-imperialists all flocked to the genre, and novelists like HG Wells and Jules Verne found bestsellers there. The utopianism of the late nineteenth and early twentieth centuries reflected the confidence of an era when economic expansion and new technologies seemed like they might liberate humanity from want and injustice, if only they were administered according to the tenets of this or that -ism. In the twenty-first century such hopes seem naive to many of us. Rather than look forward to a glorious future, we seem increasingly inclined to look back at opportunities lost and dangers ignored. In a piece for the London Review of Books, Slavoj Zizek argues that alternate histories are especially popular amongst right-wingers, who like to fantasise about shooting Lenin at the Finland Station, or giving the American Civil War to the South, or letting Charles I keep not only his head but his crown. Zizek insists that the left as well as the right should be interested in alternative history. Denouncing determinist views of change as 'dreary', he argues that left-wing revolutionaries like Lenin have been aware of the necessity of taking daring actions to force history onto a new course. Both Zizek the Leninist and the would-be assassins of Lenin seem to assume that, once its course is determined, history is something homogenous. Like Aristotle and Hegel, they see history as a stream that flows steadily in one direction, without eddies or countercurrents or forking channels. Once an historical epoch has been inaugurated by a dramatic event like Lenin's arrival at Finland Station, this epoch characterises the whole world. Such a view is unfortunate, because it ignores the different ways that time and history are experienced in different societies, and the inevitable existence of exceptions to every historical trend. I've argued that the Tongan past is important, because it offers us an exception to a very big and bad historical trend. Unlike every other Polynesian society and the great majority of southern hemisphere societies, Tonga was never colonised by a northern hemisphere power in the nineteenth or early twentieth century. To study Tonga, then, is to study a real-life alternate history. A friend recently asked me why I was taking a job in Tonga, rather than looking for work in New Zealand or some larger, wealthier nation. He looked slightly bemused as I tried to explain that, whenever I step off the plane onto the tarmac of Fua'amotu airport, I feel like Oswald Bastable stepping into an alternative reality. Over the last week or so I've been creating some papers to teach next year at Tonga's 'Atenisi Institute. I've decided not to try to teach this particular paper, because it seems too detailed for an undergraduate course in sociology. Perhaps somebody would like to steal it, improve it, and offer it to a few Masters students back in New Zealand? Many young Tongans spend years in New Zealand studying or working, or both, but few arrive with much knowledge of the society that will become their second home. For their part, too many Pakeha New Zealanders regard Tonga as little more than an occasional rugby opponent and a possible destination for a cheap holiday. Because Tonga and New Zealand are societies with strong similarities amidst strong differences, and because they have histories which mix similarities and differences, they are ideal for comparative study. Tonga and Aotearoa were both settled by Polynesian peoples. Despite the similar cultures of their founders, though, the two societies followed very different paths. Tonga developed over millennia into a highly stratified society, with some of the institutions of a state and with colonies in neighbouring lands like Samoa and 'Ouvea. Maori society, by contrast, was fragmented and relatively egalitarian. There was no larger social unit than the iwi, and iwi fought amongst each other regularly. Using Patrick Vinton Kirch's acclaimed general theory of Polynesian history as well as the detailed investigations of archaeologists like David Burley and Dennis Sutton in Tonga and New Zealand, we will seek to understand why such different societies could have developed in pre-contact Tonga and pre-contact Aotearoa. Tonga's unique record as the only Polynesian society to avoid colonisation makes it a window through which we can see an alternative history of the Pacific. Tonga's Tupou I was, after all, only one of a clutch of leaders who tried to defeat the designs of European and American imperialists by building a strong modern society on Polynesia foundations. In Aotearoa, King Tawhiao created a thriving nation in the central regions of Te Ika a Maui, but was unable to unify Maoridom, which lacked Tonga's history of political unity, and was defeated in the Waikato War of 1863-65. Later attempts to create an independent Maori state, like the Parihaka movement in Taranaki, were also crushed. Looking at narratives of nineteenth century Tonga by Ian Campbell and Sione Latukefu, and accounts of New Zealand history of the same period by the likes of James Belich, we will try to discover why Tonga remained independent when Maori protonations like the Waikato Kingdom suffered colonisation. By the late nineteenth century both Tonga and New Zealand had been brought under the control of a centralised state. In New Zealand Pakeha controlled the state, but in Tonga Polynesians held the reins of power. Both New Zealand and Tonga's governments sought to move their countries into the modern era, but they chose radically different methods in their pursuit of modernity. While New Zealand followed other white settler-states like Australia and Canada in erecting a capitalist economy on the ruins of indigenous societies, Tonga's King Tupou I tried to find a compromise between the feudal economy which had existed in his country before contact and capitalism. Under the series of reforms for which Tupou is famous, feudal chiefs lost their serfs and their right to tax the harvest of small farmers. Small farmers got the right to security of tenure on their land, which was effectively nationalised by Tupou, and the right to pass the land on to their offspring. The nobles got their own estates, which they ran on a semi-feudal basis, as a sop, and also the right to administer the tenure system on behalf of the state. Tupou's reforms created an odd sort of ceasefire between Tonga's classes, and the country soon developed a hybrid economy, which featured a feudal mode of production based in the nobles' estates and a traditional Polynesian lineage mode of production based in the small farms and in the villages. How successful was Tupou alternative to capitalist modernity? Although New Zealand was a capitalist nation by the last decades of the nineteenth century, its economy developed in relative isolation from those of larger capitalist powers like the United States. The social democratic reforms of the Savage and Fraser governments of the 1930s and '40s strengthened the country's insulation from global capitalism, by placing many large companies in state hands, limiting and tariffing imports, and developing a domestic manufacturing sector. At the same time that Savage and Fraser were protecting New Zealand from the ravages of the free market, Tonga's Queen Salote was working to lessen her country's dependence on imported goods, and to shrink its cash economy. 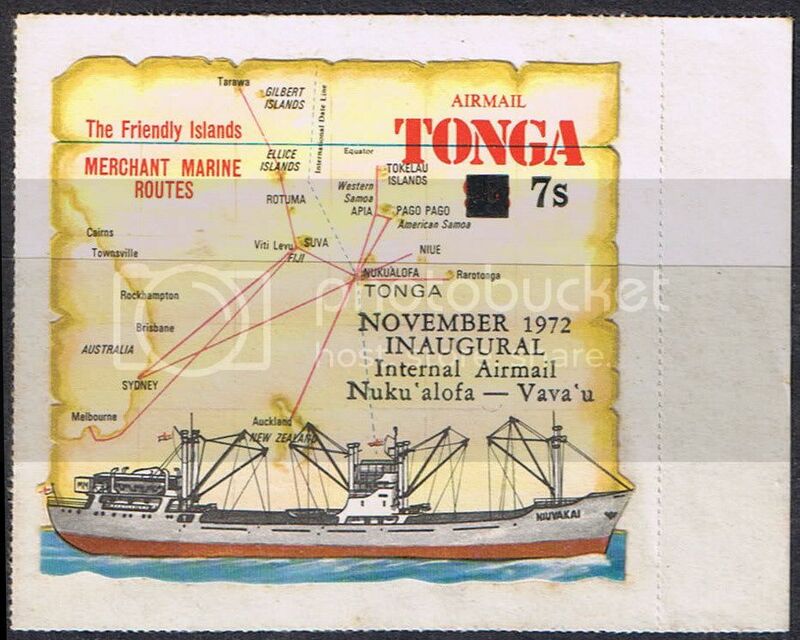 In the 1940s, though, Tonga's economy was suddenly liberalised by the arrival of thousands of free-spending American military personnel. The American demand for local goods and services enticed many Tongans to give up traditional activities like subsistence farming and enter the cash economy. Queen Salote's successor, King Tupou IV, was an enthusiastic supporter of capitalist development, and dreamed about turning his country into a 'Hong Kong of the South Pacific'. Tupou IV's reforms of the Tongan economy in the 1970s and '80s coincided with the rise of the ideology of neo-liberalism the United States and other large capitalist powers. The term 'neo-liberal globalisation' is used to describe the way Western governments and multinational financial institutions like the International Monetary Fund have sought to open the economies of Third World nations like Tonga to exports and foreign investment. In the twenty-first century, both the IMF and nations like the US urge Tonga to undertake new reforms to make its economy still more open to foreign goods and investors. Tonga has been urged, for instance, to change its constitution so that its land can be sold to foreign investors. Neo-liberal globalisation came to New Zealand as well as Tonga in the 1980s and '90s, as successive governments removed the state ownership and regulatory frameworks which had insulated the local economy from the global capitalist market. In Tonga as well as New Zealand, neo-liberalism has been a controversial doctrine. We will examine the Tongan and Kiwi experiences of neo-liberal globalisation. Both New Zealand and Tonga have produced many significant intellectuals, but the first modern intellectual movements to appear in the two countries could hardly be more different from one another. In 1930s New Zealand, a group of young writers and artists declared themselves cultural nationalists, and began to produce work which emphasised New Zealand's distance from the rest of the world, and the need to produce uniquely New Zealand forms of expression. Tonga's first major modern intellectual movement coalesced around Futa Helu and his 'Atenisi Institute. Where New Zealand's cultural nationalists emphasised the isolation of the South Pacific from the rest of the world, and the inadvisability of trying to use northern hemisphere ideas to deal with South Pacific experience, Helu and other 'Atenisians believed that Tongans needed to strengthen their society by assimilating some of the concepts of classical Europe. Helu abhorred the notion of a uniquely Pacific style of writing or art, and argued that the region should be one of the tributary streams feeding a 'world culture' that includes Plato and Italian opera as well as tapacloth and the lakalaka. Tongan intellectuals who have worked outside the 'Atenisi tradition, like the social anthropologist and satirist Epeli Hau'ofa, have also tended to reject the notion of Tongan cultural nationalism. Relating Tongan and New Zealand intellectuals to the history of their respective nations, we will discuss why the Kiwi cultural nationalists and the Tongans have differed so dramatically over so many issues. In his classic essay 'Our Sea of Islands' Epeli Hau'ofa discussed the massive movements of people which have been such a feature of postcolonial Pacific history. Hau'ofa argued that, far from fleeing their cultures or selling out to capitalism, Polynesians who move to large foreign cities in search of work and other opportunities are breaking out of the narrow political and conceptual boxes colonialism made for them, and resuming the tradition of inter-island travel which flourished in pre-colonial times. Why, Hau’ofa indignantly asked, should people be criticised for refusing to be bound by lines on a map made by their colonisers? Why shouldn’t they take themselves and their culture wherever they want? Today increasing numbers of New Zealanders are leaving their nation, and seeking work in Australia or other larger and more prosperous countries. There is controversy about this emigration, with some older Kiwis seeing it as a betrayal. What can New Zealand learn from Tonga, a country which has for decades now watched its young men and women fly off to larger nations offering more opportunities? I thought he was an acid-head. With his long beard and long coat and general air or romance, Moorcock looks a little like a nineteenth century Russian aristocrat-anarchist. He's written admiringly about Nestor Makhno, whose anarchist 'Black Army' fought the Reds and Whites in the Russian Civil War, and makes Makhno into a character in the last of the Oswald Bastable trilogy. The Great War is over since four years. The weapons are silent. The German troops could conduct a successful Operation Michael in spring 1918. Two million German soldiers, who should originally stay in Russia were ordered to the Western Front. They were the last force, the last reserve. They were able to capture Paris. Although the Western Allies could retake it shortly after, the attacking Allies had severe losses and were not able to push the Germans out of the vincinity of the city. A new offensive of the Germans was only a matter of time. Thus the participating nations agreed to make an armistice shortly after. In the following time after long debates a peace was concluded. The status quo ante was mostly reinstalled. Thus the powers came out in a very different way. The hopes of a new and lasting peace became first cracks in the following consultations for the Washington Naval treaty. It failed mostly. Although there is a moratorium to build new battleships until 1930, no quota was accepted. Although only 8 more capital ships just being built or planned and 5 carriers (except one trial vessel) were accepted, the non acceptance of a quota will lead to more tensions soon. However, until then these ships are invaluable. The US did not lose the war, Neither they did not win it. And especially as US troops were reconquering Paris, the following armistice was regarded as betrayel from the British and French. The US had paid with blood and for nothing in their eyes. In the following Woodrow Wilson was not able to fulfill his dream of a League of Nations. The US are now in a very splitted situation politically. Many want to become more and more isolated, while others want to become a super power. Also the economy was not destroyed nor were there many men lost. So what will the US decide to do? But be aware about Japan. And what about the dream to have a united North America under US rule? Or is Africa worth to be invaded? The British were able to remain their colonial empire. And still their Navy is ruling the waves. But they have now the US as main competitor. And the Germans are still a danger, although they also agreed to a moratorium to build Uboats for 12 years. Or will the US become an opponent? And what about Japan? The German Reich was restored in the following time. A constitutional reform made it now to a parlamentarian monarchy. The Kaiser is mostly only a symbol. All colonies occupied were released and in the East the Baltic Republics soon joined the Reich as member states to be protected from the Soviets and Poles. The Soviets are very weak at thi moment, especially after having lost a war against the Polish, but they can soon recover. And then the Red Bear might get hungry. Poland is also having a look on Posen and West Prussia, where many Poles live as well as Upper Silesia. Some interesting projects Maps. Your wide reading will be big help. Best of luck!